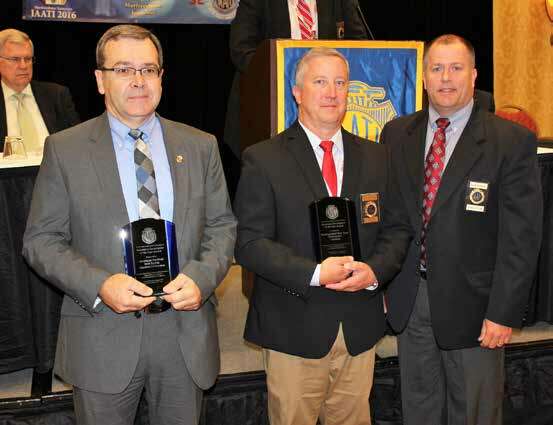 This award was created in 2014 in order to recognize and honor insurance professional (individual or group) for his or her outstanding contribution in the area of vehicle theft investigation or insurance fraud investigation. In May 2012 Investigator Tom Pruett of the North Carolina Department of Insurance, Criminal Investigations Division received a referral on an individual who had recently filed six insurance claims on the same all-terrain vehicle (ATV). NICB Special Agent Darrell “Rusty” Russell soon joined the investigation. Upon reviewing prior claims history of the involved subjects, a pattern of possible insurance fraud quickly emerged. Investigators confirmed that damage claims had indeed been filed multiple times for the same ATV, even though one insurance company had, in fact, totaled the ATV. Ironically, the investigators learned that owner of the ATV and the owner of the repair facility were one in the same, and that owner just happened to retain the salvaged ATV. Upon recognizing the nexus to the repair facility, Investigators Pruett and Russell began to coordinate their efforts with Inspector Marc Epstein of the North Carolina Division of Motor Vehicles. The ensuing investigation determined that the fraud scheme was more complex and involved a ring of individuals, spearheaded by the same individual who just happened to own the three repair facilities that were allegedly performing the repairs. The repair facilities were being operated from the same location. It was determined that the suspects were buying salvaged ATVs, then securing insurance policies and filing claims alleging that the ATVs were falsely damaged while off-roading. Initially investigators identified 21 insurance claims totaling $121,261.92, or an average of $5,774 per claim. The thieves soon graduated from ATVs to custom-built motorcycles with an average of $14,000 per insurance claim. Interestingly, the ringleader was authorized by NHTSA and the NCDMV to manufacture custom motorcycles, and as such, had the ability to assign vehicle identification numbers and create Manufacture Statement of Origins. In the same manner, the ring would secure insurance policies on the motorcycles and then file claims alleging that the bikes were damaged. The thieves would often provide the MSOs as proof of ownership. This scheme netted the thieves $517,004.13 in insurance proceeds. This total did not include similar schemes involving antique cars, boats and campers. During the next two years investigators requested, received and reviewed countless insurance files from multiple carriers. The investigation culminated with the arrests of 11 people in conjunction with 45 fraudulent insurance claims totalling $671,241.09. On September 9, 2015, ringleader Spencer Bowman plead guilty to 12 different criminal counts. Criminal charges against eight other individuals await final disposition in the court system. Charges against the remaining two persons were ultimately dismissed.